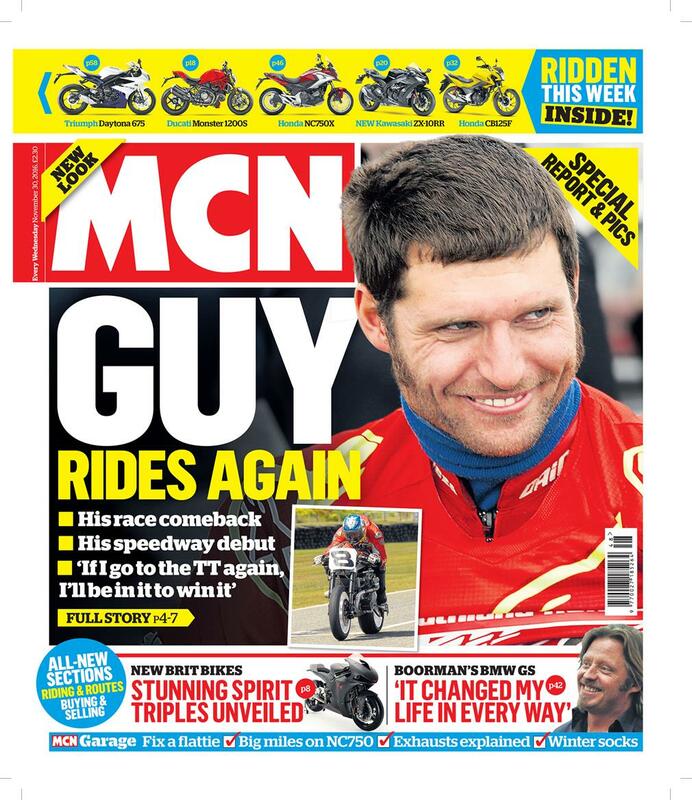 Pick-up the second issue of our new-look MCN from November 30 - also available in newsagents, on iPad and Android. Our fancy pants new issue includes even more biking news and we've even added some completely new sections for buying and selling as well as discovering great routes and improving your riding. Check out the Lincolnshire rider having a crack at speedway and the Burt Munro challenge in New Zealand. New British firm, Spirit Motorcycles, unleashed four high tech Triumph-powered treats - the GP Sport, GP Sport R, GP Street and the GP Street R.
TV presenter Boorman gushes about his love his BMW GS and how it 'changed his life' in every way. Don't get stranded by a puncture, especially in these below-zero weather conditions, we show you how to change a flattie with this week's quick fix. We take Triumph's Daytona 675, Street Twin, Ducati's Monster 1200S, Panigale 1299, Panigale 959, Honda's NC750X, CB125F, Yamaha's XSR900, BMW's R1150GS and Kawasaki's ZX-10RR for a ride. So why not find out how we got it?